The spring 2018 television season may lack some of the sparkle of last year’s schedule, but there are still some new offerings and returning favorites that LGBT TV fans may want to watch. On March 27, the outspoken Roseanne Barr returns to network television in a continuation (season 10) of the ground-breaking show that bears her name. Most of the original cast will be back. John Goodman returns as Dan Connor (one of the show’s early promos made fun of his return from the dead). Lecy Goranson, Sara Gilbert and Michael Fishman return as the Conner children. In an interesting twist, Sarah Chalke, who briefly replaced Goranson as Becky, will return to the series as a middle-class woman who hires Becky to be her surrogate. 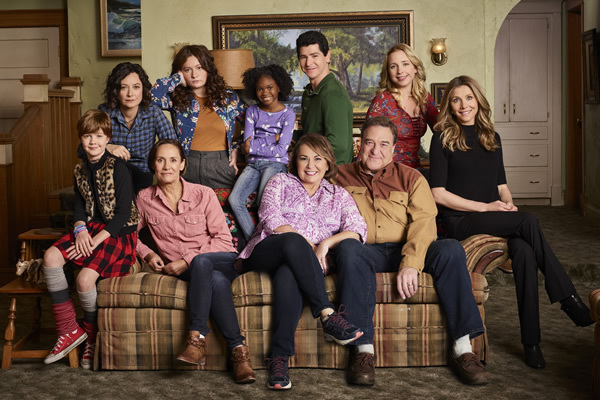 Many of the guest stars will also return, including Roseanne’s lesbian friend Nancy Bartlett (Sandra Bernhard), Roseanne’s African-American neighbors, Natalie West as Crystal and Johnny Galecki as David Healy. The new cast will also be rounded out by several grandchildren. It is not clear if Martin Mull and Fred Willard, whose characters were married on the show, will return. “Rise” on NBC has caused controversy even before its premiere on March 13. 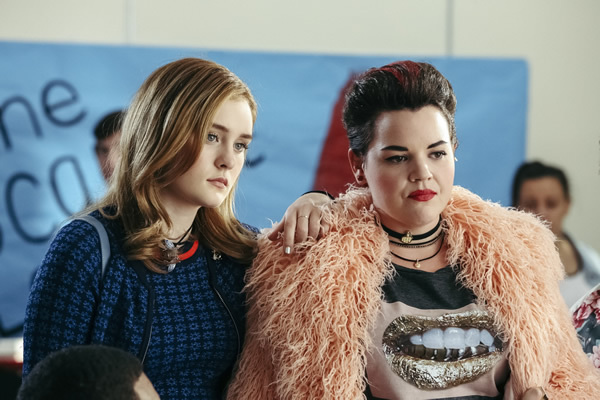 The series is loosely based on the nonfiction book “Drama High” by Michael Sokolove which tells the true story of high school drama teacher Lou Volpe, who came as gay later in life. Some media outlets have accused producer Jeff Katims with “straight-washing” Sokolove’s book, but the Writers Guild of America has ruled that Katims should be listed as the creator of the television series, instead of saying he “developed” the show from Sokolove’s book. The show does focus on the drama teacher, played by Jordan Roth, as a straight family man, but Katims adds several LGBT characters, including Michael (played by trans actor Ellie Desautels), a transgender student at the high school; Simon (Ted Sutherland), who is exploring his own sexuality after being cast as a gay character in the school’s production of “Spring Awakening;” and, Volpe’s married lesbian sister-in-law. The cast also includes Rosie Perez as a fellow teacher Volpe and Auli’I Cravalho (the voice of Moana) as a student. Meanwhile on Paramount, “Heathers” will premiere on March 7. Based on the iconic 1988 movie starring Wynona Ryder, the “pitch-perfect black comedy anthology series” is set in the present day. The story still focuses on “good girl” Veronica Sawyer, along with her boyfriend JD and “the Heathers,” a vicious clique who ruthlessly control life at Westerburg High. This time, however, one of the Heathers is played by a man. Shannon Doherty, one of the cinematic Heathers, will make a guest appearance. On April 25, a year after the first episode of season one aired, season two of “The Handmaid’s Tale” will premiere on Hulu. 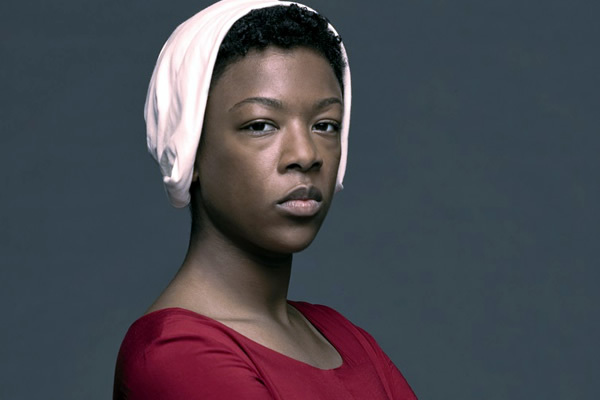 The entire main cast will return, including Elisabeth Moss as June/Offred, Ann Dowd as the terrifying Aunt Lydia, openly lesbian actress Samira Wiley as June’s best friend Moira and Alexis Bledsel as the lesbian Handmaid Ofglen, who was formerly known as Emily. New cast members include Clea DuVall as Emily’s wife, openly lesbian actress Cherry Jones as June’s mother, Bradley Whitford as Commander Joseph Lawrence and Marisa Tomei. Working closely with novelist Margaret Atwood, writer Bruce Miller has continued to expand the world of Gilead, a dystopian vision of the United States after a theocratic regime has taken power. Fertile women, known as Handmaidens, are forced to be surrogates for the Commanders and their infertile wives; women who resist are forced to clean up toxic waste dumps known as “the Colonies.” Details about season two are sparse, but it is known that there is a large state funeral and that some scenes are set in the horrific Colonies. And, on April 13, Netflix will reboot a classic sci-fi series, but without an iconic character generally assumed to be gay. In the original “Lost In Space,” Dr. Zachary Smith was played by Jonathan Harris with a delicious campy flair. In a fascinating gender swap, Parker Posey take over the role of the nefarious stowaway. In another interesting casting move, Ignacio Serricchio will claim the role of Major Don West created by Mark Goddard. In addition, several returning or continuing shows continue to include LGBT characters, although generally in supporting roles. Season two of “Jessica Jones” returns to Netflix on March 8 (International Women’s Day). Part of the Marvel Comic Universe, the series is grounded in a feminist sensibility with strong women on both sides of the camera. 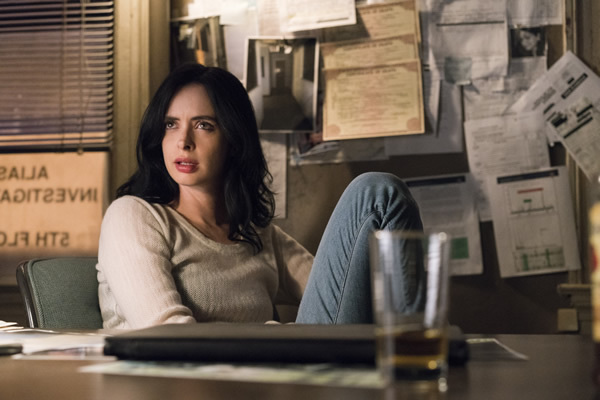 The series stars Krysten Ritter, who was nominated for a Dorian Award from the LGBT critic’s group GALECA, and Carrie Anne Moss as Jones’ lesbian boss Jeri Hogarth. “Black Lightning,” which premiered on the CW in January, is based on the DC comic about a family of African-American superheroes. Cress Williams plays the title character and Nafessa Williams plays his daughter Anissa Pierce, a crime-fighter who is developing her superpowers under the name of Thunder. Fox’s airline comedy “LA to Vegas” debuted in January to weak reviews and strong ratings, but it has made a star of Nathan Lee Graham who plays gay flight attendant Bernard. The openly gay actor played Miss Understanding in the original Broadway cast of “Priscilla, Queen of the Desert” and was recently presented with the Jose Esteban Munoz Award from CLAGS: the Center for LGBTQ Studies at the Graduate Center, CUNY. The award is given to an LGBT activist who promotes queer studies outside of academia. There’s also “Call the Midwife” (PBS), “Valor” (the CW), “Madam Secretary” (CBS), “The Fosters” (Freeform), “Riverdale” (the CW), “Portlandia” (IFC), “Grey’s Anatomy” (ABC), “How To Get Away With Murder” (ABC), “Arrow” (the CW) “One Day At A Time” (Netflix) and “Jane the Virgin” (the CW).